PJ & Company Staging and Interior Decorating offers in-home decorating and redesign to help you redecorate, renovate or simply refresh the decor in your home. We also offer professional home staging services to those looking to sell their home. 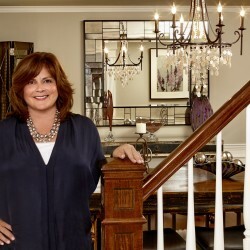 Patti Stern, PJ & Company Staging and Interior Decorating principal and interior decorator and lead home stager, started the company in 2005 as a result of her passion for home furnishings. We work closely with homeowners to determine their personal style, lifestyle and budget. Our goal for every project is to help our clients achieve their design goals and vision for their home decor to create beautiful spaces for living — whether they are making updates for their own enjoyment or to attract buyers in today’s housing market. Our clients include homeowners, realtors and home builders. As experts in home staging we’ve helped homeowners across Connecticut as well as in Massachusetts and New York turn their home into a marketable piece of real estate – to sell quickly and for top dollar. Patti and her work has been featured in a variety of news media including Connecticut Magazine, the Hartford Courant, NBC Connecticut and FOX CT Television. PJ & Company received the “2015 and 2016 Best of Houzz” Awards for Customer Satisfaction. Contact us today with any questions you may have and to get started with your interior decorating needs today.